WWDACT is a systemic advocacy and peer support organisation for women, girls, feminine identifying and non-binary people with disability in the ACT region. Established in 1995, WWDACT follows a human rights philosophy, based on the Convention on the Rights of Persons with Disabilities (CRPD) and the Convention on the Elimination of (All Forms Of) Discrimination Against Women (CEDAW). It works with government and non-government organisations to improve the status and lives of women with disabilities in the ACT and surrounding region. Our priority areas include: equity, health, violence prevention, environmental safety and housing. 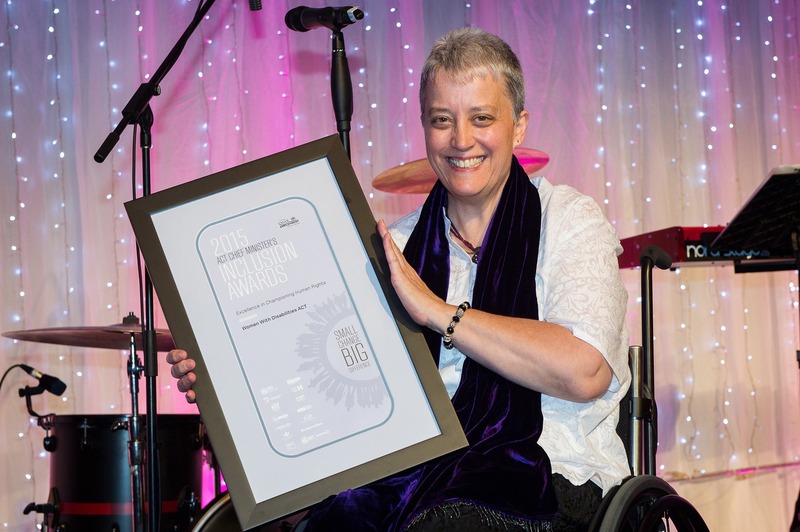 WWDACT, through its membership, has strong links to relevant ACT advocacy organisations and also has a close association with Women With Disabilities Australia (WWDA), the peak organisation for women with all types of disabilities in Australia. WWDACT has won several awards for our work, including the 2015 Chief Minister’s Inclusion Award for Excellence in Championing Human Rights and the 2012 International Women’s Day Award, Community Category. In 2019, WWDACT launched the Redefining Leadership exhibition with the National Foundation for Australian Women, featuring several leading women and non-binary people with disabilities from the ACT. You can view the photographs and read their stories here.